I hope you all are enjoying the fact that it's the middle of the week. I am having a very bad health day, but have decided to at least write a small post about the "misfits" of the refrigerator; the leftovers. 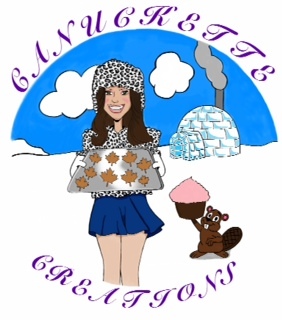 I am the kind of person that doesn't like to waste food, and since being taken off of work for health reasons, it is all the more important that I don't waste food. Yesterday being my first day back to Canadia, meant I had a doctors appointment, and that I'd being seeing my grandfather and going to the pharmacy in my local grocery store. When I took my prescriptions in, I was told it would be about forty five minutes (yikes just a bit of a wait lol), and having just gotten multiple shots, there was no way I'd be going home and walking back. I am fortunate enough to be a granddaughter to my loving wonderful grandparents, who would do anything for me and when it comes to my health, they don't skimp even when I say it's okay. Since my grandparents had just gotten back from a cruise, we sat down in the waiting area and chatted about both of our trips. 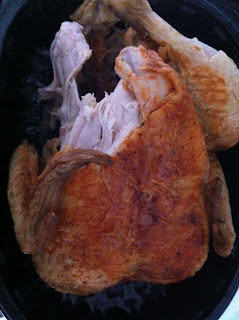 While sitting there, the delicious smell of slow roasted chicken was wafting over our way and making my stomach growl, lol in typical Jennifer fashion I hadn't located my bank card yet, which meant I had not gone grocery shopping. My grandfather saw I was hungry from being at the doctors, and the near hour that had passed, so he asked me if I wanted a chicken (it was also on special that day). That was an offer my stomach was not going to pass up! Needless to say, being one girl I obviously could not finish the chicken at all lol. too much chicken for one little girl! So earlier this afternoon I started thinking to myself; how was I going to eat the rest of the chicken? As is? Shredded on a sandwich or salad? I could even make it into a whole new dish :). 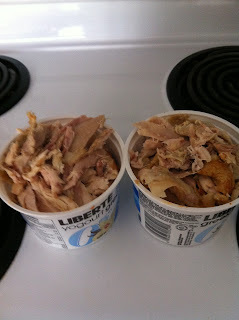 I love to have turkey sandwiches during Thanksgiving or Christmas, so I decided I would shred the rest of the chicken and have it on hand to create anything my heart desired with the scraps. After breaking the chicken down and disposing of the bones, I had worked up quite the appetite, so I decided to have a simple yet delicious chicken sandwich. All I needed was some bread, whipped dressing, salt, pepper, and some sharp cheese to accompany the already delectable seasoned chicken. 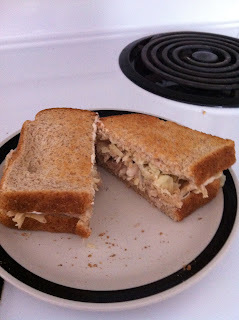 Now there are plenty of ways to make chicken salad, but I chose to make more of a traditional sandwich. Normally, I would add all sorts of different veggies, but since I still haven't made it to the grocery store I settled with what I had on hand. 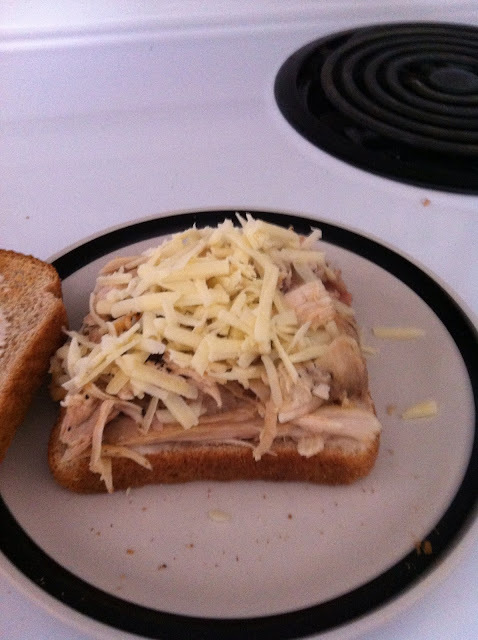 Now not everyone likes a warm or toasted sandwich, but when it comes to left over chicken or turkey, I do! 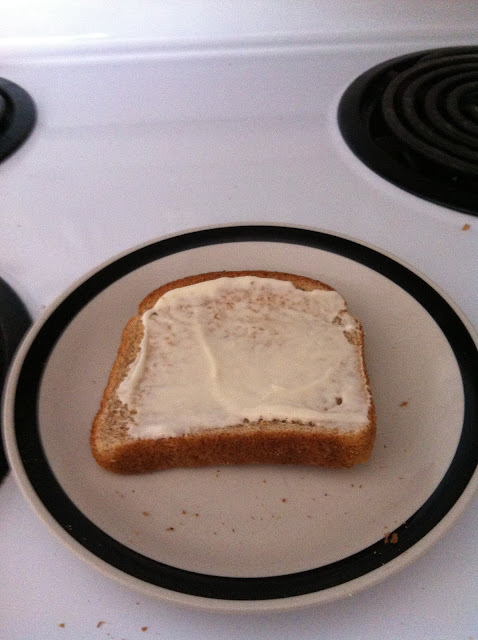 So I start by toasting the bread, not very dark at all, and add a thin layer of whipped dressing. 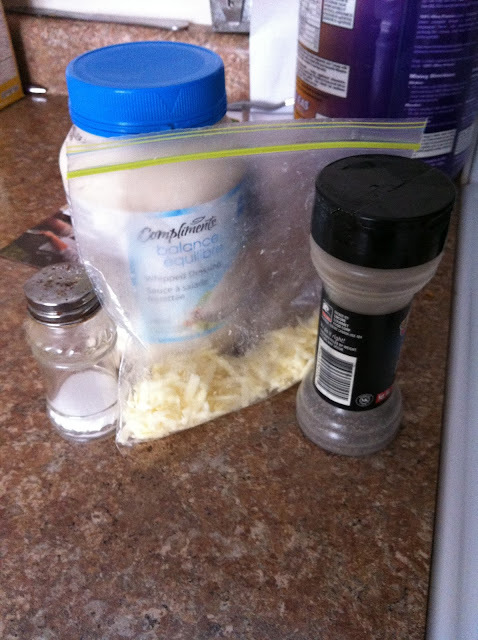 After warming the chicken up, I place a hearty layer of chicken and sprinkle a small amount of salt, and some pepper, then topped with some of the sharp cheddar cheese (maybe 2Tbs). I then place a very, very small amount of whipped dressing on the top slice of bread (just to help hold it in place), then close the sandwich, cut, and enjoy with veggies, chips, or salad.